John A. Heydt, M.D., currently serves as the Chief Academic Officer for Borrego Health in Southern California. He is board certified in Family Medicine and Sports Medicine. 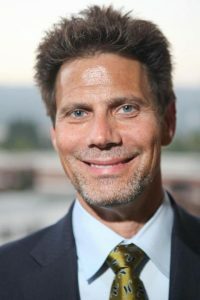 Dr. Heydt has been at Academic Medical Centers and a faculty physician at UCLA, Drexel University, UC Irvine and UC Riverside Schools of Medicine. He currently is a Professor of Family Medicine at UCR School of Medicine. He retired from the UC System after holding Senior Associate Dean positions at UCI and UCR. Dr. Heydt’s clinical practice has been focused around wellness, sports injuries and sports performance. He has been the Head team physician for Drexel Athletics, Medical Director for the US IceSkating Championships and worked with professional and olympic athletes throughout his career. As an administrator Dr. Heydt has held many executive positions, Founding CEO of UCR Health, CEO & President of UC Irvine’s University Physician & Surgeons Medical Group, CEO of Drexel University Physicians, department Chairman of Family, Community & Preventive Medicine. In addition, he has held positions, as CMO, Chief Quality Officer and Vice Dean of Operations.